Do you want to earn a living as a freelance writer? Can you imagine yourself working from home, selling your articles to newspapers, magazines, trade publications, and Web sites? If so, Business of Freelance Writing, by Paul Lima, is for you. 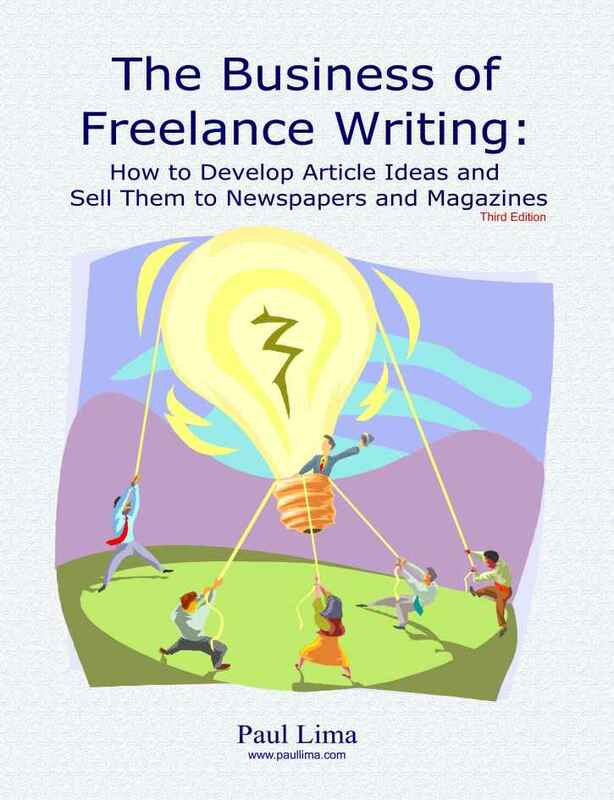 Business of Freelance Writing shows you how to develop article ideas, write query letters, pitch your ideas to the right editor at the right publications, and follow up on your queries. It outlines everything you need to know to negotiate the sale of your work with editors who say "yes" to your ideas. It also reveals how to conduct effective interviews and shows you a variety of ways to write article leads. Chapter 19: Idea Acceptance: Now What? If you want to develop article ideas and sell them to newspapers and magazines, then this is is the place to start! I have had great success with queries, much to my surprise. Editors respond and I have sold a few pieces. My biggest coup so far has been selling a 1500 word piece to Canadian Living for $1200. Read about Everything You Wanted To Know About Freelance Writing, which combines Business of Freelance Writing and The Six-Figure Freelancer: How to Find, Price and Manage Corporate Writing Assignments.